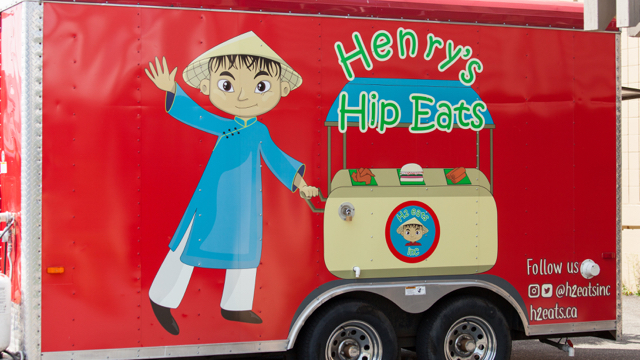 At Henry's Hip Eats, we keep the traditional preparation methods while updating 'em for the modern foodie scene, infusing each with street food style. Henry's exclusive nem burger is a marinated pork patty topped with pickled veggie on a warm toasted bun. The fan fave lemongrass chicken taco, is drizzled in siracha mayo, topped with pickle veggies and micro greens. But that's not all. Our salad rolls are one of a kind with a crunch that you gotta try! Don't miss out and come check us out!